Dogs Bite Decatur Al: LAS VEGAS, CLARK COUNTY NV - A NEIGHBOR'S PIT BULL CHARGED OUT AND CHOMPED DOWN ON ONE OF LYNNE MAGEN'S POMERANIANS "CHANEL" KILLING IT WHILE IT WAS STILL ON ITS LEASH ... ANIMAL CONTROL LEFT THE MEAT GRINDER WITH ITS OWNER!!! LAS VEGAS, CLARK COUNTY NV - A NEIGHBOR'S PIT BULL CHARGED OUT AND CHOMPED DOWN ON ONE OF LYNNE MAGEN'S POMERANIANS "CHANEL" KILLING IT WHILE IT WAS STILL ON ITS LEASH ... ANIMAL CONTROL LEFT THE MEAT GRINDER WITH ITS OWNER!!! 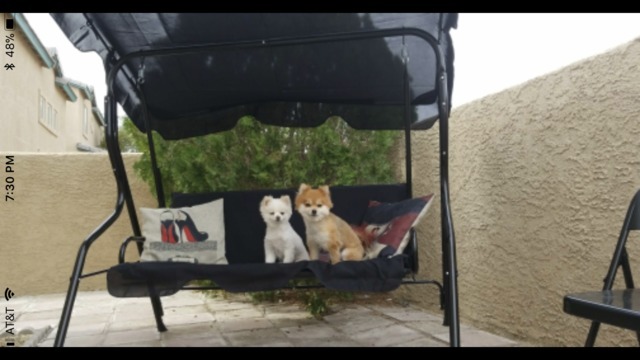 (KTNV) - A Las Vegas woman is frustrated after she says the dog who killed her beloved Pomeranian was allowed to stay with its owner. 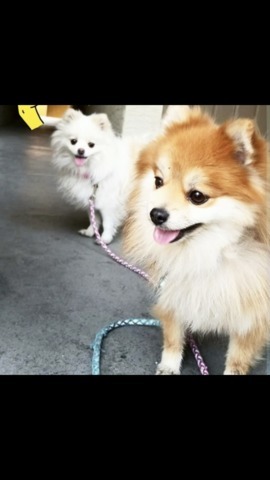 Lynne Magen said she was walking her Pomeranians, Chanel and Coco, around her home near Hacienda Avenue and Lindell Road Thursday afternoon. With the two dogs on a split leash, Magen said the neighbor's dog came rushing up and grabbed Chanel. "First of all, I let Coco go and he ran home," Magen said. "I couldn't save her. I choked him until he left her." Once freed, the woman said she rushed her injured dog to the animal hospital, but there was nothing that could be done. "As soon I stepped in, she couldn't make it," Magen said. Once home, Magen reported the attack to animal control. She said officers took the report indicating they had previous issues with the dog but eventually left the dog with the owner. Clark County Animal Control confirmed they are investigating an incident in the neighborhood, but said they could not provide any details because it is an open case. Speaking about standard procedures, a spokesperson said dog attacks are handled differently depending on if a person or animal is attacked. In cases of people being bitten, officers take the dog into a quarantine period because of rabies concerns. But when a dog attacks another animal, the spokesperson said officers can't immediately take the attacking dog from the owner. In typical investigations, there are three outcomes if the attack is confirmed. The simplest punishment would be a citation for the owner. A more severe case will lead to a dangerous dog declaration with the owner being forced to meet certain criteria to keep the dog. In the most severe cases, the dog is declared vicious and euthanized. While she waits for animal control to complete the investigation, Magen said she is worried to take Coco out for a walk. "I'm scared to take him out," Magen said. "I don't know what is going to happen." Magen said officers told her she should get some information on the investigation Monday.